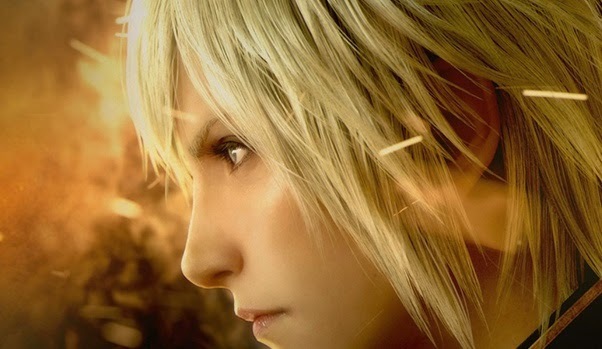 In this section of our guide to Final Fantasy Type-0 HD we will show you where to find all the precious L'Cie Crystal to gain access to the Night Bazaar and many useful items! On the continent of Orience there are at least 43 L'Cie (Cie'th) Stones that you have to collect and then deliver to ATRA in the city of ISCA. Then you will be reworded with access to his mysterious shop, NIGHT BAZAAR. This store sells accessories in extremely powerful, useful to defeat any foe too hard. Unfortunately, however, these items are very expensive and prevent the character wearing them to get experience (EXP). Having regained the city just outside at Akademia in Chapter 2, talk to the mayor (the city on top of the raised area) and help him gather all the people for speech. You'll have to talk to all the citizens that you see in the square and check all the doors of the city to call other people. After gathering all, talk to the mayor to get stone. Can be found on the ground, in the city center of courses. This will get to the stone Aqvi, in the Region of rubrum. Talk to the girl named Nazuna, who is standing under the tree, twice. Once done, talk to one of three children playing near the tree and then talk again with Nazuna. The girl runs away, talk with her again and then head to the entrance of the city to see coming a member at 'Akademia. Talk to him to receive a LETTER from sister Nazuna. Deliver a letter to the child to get the Gemma. A Keziah in the Togoreth region. Talk to the man with the red cap at the entrance of Keziah to deliver the letters to the homes of the city. You will have to deliver ten missives. For the tenth will need to speak with the citizens in the city so as to discover the recipient. Finally, speak with the man who gave the letters to get the stone. "Just be nice to her." "Cheerful colors, like a rainbow." This gem is obtained in Isca. Talk to the mayor in the city center twice. As soon as you start the second conversation, the guy standing next to the mayor will steal money from the treasure chest nearby. Follow the boy until he stops, then return to the mayor. You agree to help the mayor to find the stolen object. Come back from the guy and ask him to return the item to find out that he lost. Head back to the mayor and then head down the path until you reach a boy named Atra. Atra is the owner of the Night Bazaar and to which you deliver the crystals to receive prizes. If you talk to him twice, will inform you that he has taken the stolen object to the mayor but a giant monster stole him in turn. Refers to a poor chocobo! Go up the stairs just after the mayor and take the road on the right once on top. At the end of the trail is a member Akademia with his Chocobo, talk to him and ask to examine the animal to finally receive the stolen item. Finally speak with the mayor and return the object to receive the Crystal. This gem you'll find it in Rokol. Talk to the Mayor near the entrance to know who is in search of the secrets of the legionnaires scattered around the city. Talk to each of the Legionaries of Rokol Quaestor and the entrance to the city, then return by the Mayor that will reward you with Stone. In this way, he will reward you with a gem. This gem you'll find it at Meroe in the Isca Region. In the alley on the east side of the city. This gem you'll find in CETME. It is located behind the Mayor, on top of the fourth flight of stairs. This stone you'll find in Roshana, talk to a Legionary of Subaru that will tell you to eliminate 10 Mandragore near the city, just look for them in the plain, NOT in the forests because not worth counting. Head back to town and go up the ramp to the right and then take another flight to the right to reach another Legionnaire. Talk to him to get him to move and find the stone under his feet. This stone you’ll will find in Rama in the Province of Roshana. Complete the quest Yukisato to gain entrance to the city. Talk to the mayor standing in front of a gate, you will be asked to answer a question. The answer changes every time you visit the city and you will have two attempts with each visit. If you make a mistake twice, you'll have to leave, then come back and try again. The man on the right, entering the city will give you a hint of what the answer to every visit. For example, "Today I saw two strange animals ..." means that the answer is the second on the list. After answering correctly to both questions, you can overcome the gates. You must answer the question correctly, 5 times in a row, you will eventually come down the street and take the Crystal. This gem you'll find at Bazz in the western district of Nesher. Go down the stairs on the opposite side of the city, and look in the alcove just to the right to find the gem. This stone you'll find it at Rilochy in the Province of Shakara. Go up the ramp on the left side of the city and accept the quest. Once completed pearly with the woman who is close to the gate on the same flight on which you climbed before. Respond "Oh, sounds interesting." Talk to her to know of a precious stone. Go up the ramp on the right side of the city and talk to the man on the right side of the platform. Will ask the objects, give it to get the stone. This stone you'll find it in Rilochy. Go into the city and stay longer in the back of the line at the gate. After about five seconds, the door will open. Go straight and talk to the priestess at the end of the corridor to donate 100 Gil. Leave town and repeat this process until you have donated 1,000 Gil. To thank you for your generosity, the priestess will give you the Stone. This stone you'll find it at the Amiter Dragon sanctuary. Complete the quest Otokusa, then wait outside the city, on the plain until it reaches the fog. Once arrived, returned to Amiter and you will find two Tonberry. Talk Tonberry over the last ramp to the right and you will receive the stone. This stone you'll find it in Azurr. Complete the quest to receive the Key from Okita MPV-B2. After completing the quest, talk to the person who seeks the keys to the city. The doors at the rear of the vehicle will open and you will find yourself stone. This gem will find it in the region of Zero Last of Ancient Lorica. This gem you'll find it in Mount Jubanla in Jubanla Region. This Stone you'll find in the Bethnel cave in the Meroe Region. This stone you'll find it in Setzer in the southern point of the Veil Desolate. You’ll find this stone in Akademia. The Cactuar that appears randomly in Terrace, in the Chocobo Ranch or Zone of mooring Aereonave, could drop it to the ground. This gem you'll find in the desert of Berith. Look on the floor in the southeast corner of the desert to find it. This gem you'll find in the Valley of the Monsters in the North. You need the airship Setzer to reach the Valley to the north and take the Stone. This gem you'll find it on the grass on the east side of the Coast Region Innsmouth. This gem you'll find it just past the red gem floating rescue in the House Desert region of Ancient Lorica. This gem you'll find it in the Tower of Agito in the Eibon region. You need the airship Setzer to reach the Tower of Agito. This gem you'll find it in a pit to the southwest in the valley of the North. You need the airship Setzer to reach the Valley of the North. This gem you'll find in the region Jubanla. Passing by the Northern Corridor, the Gem is on the ground right after crossing the bridge. This gem is located at the end of the road in Mahamayuri. This gem is located in a southwest corner of the bridge north of the district Azurr. This gem is located on the ground, near the western tip of the great crevasse in the center of CETME district. This stone can be find in the region of Isca. Climb the structure southwest, the center of the Region Isca. The Gem is located on top of the structure. This gem is located in the province of Rilochy, along the coast, directly south of the city of Rilochy. This gem is located on the ground near the coastline around the area north-west of the West Nesher district. This gem is located in Nesher in the Eastern District. From Base Gehwer, is located on the ground to the southwest near the bridge. This gem is located on the ground on the northern tip of the Region Eibon. This gem is obtained on the center of the Province Roshana. You’ll find this stone in the north-east of the Innsmouth Region. You’ll find this stone in the Meroe region, located in the west land of Cave Bethnel. This stone can be find in the region of Ancient Lorica, is located on the ground north of the Desert House, on the west side of the site of the explosion. You will find this gem in the course of Chapter 8, on the ground of one of the areas of Pandaemonium.